IoT may not be apparent in the lives of many but it’s largely already present. Perhaps it’s a lack of imagination, ingenuity, or observation, on the part of consumers but IoT encompasses far more than anyone had previously envisioned. IoT touches virtually every aspect of our daily lives with the purpose of adding conveniences that didn’t exist before. How does this impact industry including auto manufacturers and healthcare providers? These questions are what drives this discussion and will be explored in this paper by referencing recent events as they are happening today. What is the Internet of Things? It’s not just some buzz word which is typical for fads that seem to be hot one day and gone the next. IoT is here to stay and has already infiltrated the lives of milllions of unsuspecting users around the world. One doesn’t need to leave the comfort of their home to witness IoT in all it’s glory. The idea behind the IoT is that is revolves around a large number of machine to machine communications that are primarily built on cloud computing technologies. It consists of mega networks that collects an abundance of information upon which it acts through the use of data-gathering sensors. While machines are computing instruments in their most basic form, it’s the sensors that perform the magic behind the curtain of IoT, in particular, smart devices. Sensors are designed to gather data, measure data, and evaluate it. What makes all of this work is the interconnection of machines with data collecting sensors and the myraid of software programs created to manage it that’s running behind the scenes allowing humans to leverage it and turn it into something of use. IoT is the foundation that allows all the sensors in the world to gather data which can be analyzed in real-time. Cloud based services are the main component to this formulaic system which allows cloud-based applications to collect, interpret, and transport data from all of these sensors to a centralized managed control center. IoT is making waves in the healthcare industry as well. IoT allows remote monitoring of sensitive medical devices used by healthcare providers that can monitor patient’s heartrate, pulse, temparature, and more. Healthcare professionals are experimenting with new ways to use IoT to help supplement the healthcare needs of their patients. There are many obstacles standing in the way that need to be addressed first before the full potential of IoT can be realized. Some people view remote monitoring as an invasion of privacy while others think of it as 24/7 healthcare just like having a doctor present all the time. Healthcare practitioners must also consider the ramifications of false alarms from faulty sensors. Lastly, these devices may be veiwed as being too costly for many to justify using them. The scarier side of IoT was revealed earlier this month when two security researchers, Charlie Miller and Chris Valasek, caused 1.4 million automobile recalls after hacking into a Chrysler Jeep Cherokee’s control system from a remote location using a laptop. They were able to hack into the Jeep using a vulnerability located inside a web application on Jeep’s corporate website allowing them to take over various controls including; dashboard functions, steering, transmission, and brakes. What’s unique about this recall is that Jeep Cherokee owners will not have to bring their vehicles down to the dealer for servicing but instead will be shipped a USB drive embedded with a software security patch that they can easily install through a port located on the dashboard. 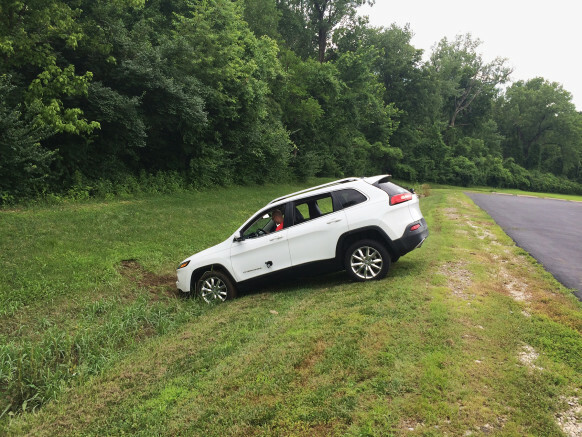 The Jeep Cherokee was ditched after security researchers deactivated the brakes through an Internet connection. Although the response wasn’t immediate Miller, one of the two researchers, was very happy to see the company respond. Miller has since repeated his hack and found that Jeep had in fact patched the vulnerability. The impact that IoT is felt everywhere making headlines in the news by increasing everyone’s awarenes of the potential dangers that may exist. Ultimately, these smart devices have the capability to make decisions locally acting upon the data gathered by it’s sensors. Unfortuantely, these devices still don’t have the ability to remind and make a medical patients take their medication. We’re already seeing a surge of various IoT related products hit the market such as Apple’s “Homekit”, Google’s “Brillo”, ADT’s “Pulse”, and AT&T’s “Digital Life”. Smart energy is taking form in the homes of many people through the use of smart thermostats, Nest in particular which was recently acquired by Google. Many other smart devices that are already on the market include; Smart refridgerators with built in TV’s and temperature controls, smart water heaters with built in Wi-Fi home network sensors that allow homeowners to control and monitor water temperatures through the Internet using a smart phone, and wearable technology that monitors health. The list goes on and continues to grow and the limits of IoT seemingly have no bounds, which are limited to the imagination.